A FATHER of two had his left arm almost hacked off with a chainsaw after his employer failed to provide adequate training. Karl Spafford, from Southport, suffered life changing injuries in February 2014 when he was working as a tree surgeon. After years of suffering physical and mental pain, he has now received a six-figure pay-out. The 35-year-old was positioned 30 feet up a tree in Preston, using one hand to hold a branch and the other to use a chainsaw. When he went to cut the branch, the chainsaw kicked back and cut into his forearm leaving him with a severe gash. He was rushed to Royal Preston Hospital where he underwent emergency surgery. He has now been left with permanent pins and needles in his forearm and chronic neuropathic pain, along with significant scarring and a reduction in grip strength. Tree surgery was Karl’s dream career and he had done it since he was 17; travelling all over the world learning new skills and showcasing his talent. Since the accident he has had to come to terms with the fact that he is unable to return to the line of work that he enjoyed so much. Following a four-year legal battle by leading personal injury firm, Fletchers Solicitors, it was found that Karl’s former employer had not provided him with adequate training. Refresher training should have been provided to remind employees of the importance of using two hands while operating a chainsaw. 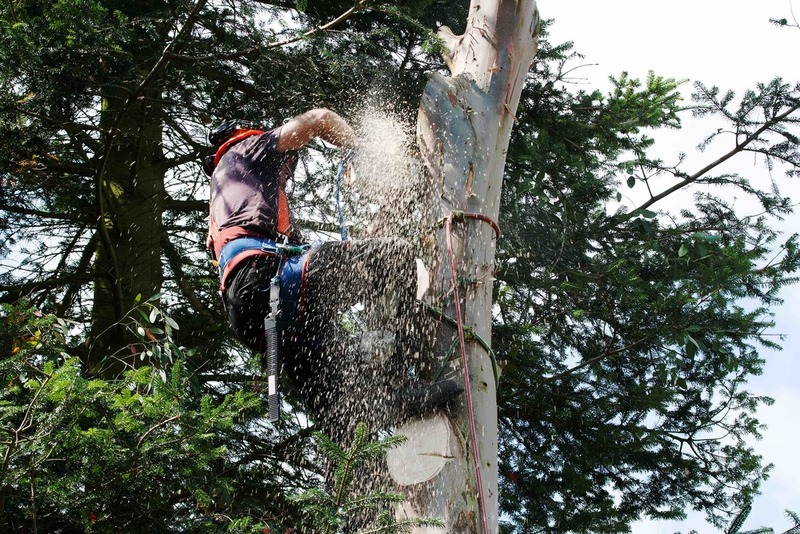 Karl said, “Tree surgery was all that I knew, and I loved it; I lived and breathed my job. I was known for being able to go further and higher than other people. I knew there were risks associated with the work, but I didn’t think anything would happen to me. The settlement that Karl was awarded means that he can now focus on starting afresh with his family after years of physical and emotional pain. In the months immediately after the accident, Karl was unable to work because of his injuries. He was also having counselling for Post Traumatic Stress Disorder and Cognitive Behavioural Therapy to deal with the flashbacks and anxiety he was suffering with. During this period of unemployment, his family had to move out of their home as they were unable to maintain the monthly rent payments. Karl’s wife, Christa, had to postpone her degree so she could work and not being able to provide for his family had a massive impact on Karl. Once Karl was well enough to start looking for work again, he found that he was unemployable because of the medication he was taking for the pain. It took Karl six months to come off the painkillers but he knew that in order to work again, he would have to handle the pain and stop the medication. In November 2016, Karl found work as a children’s support worker which is a role that he is enjoying. Karl, Christa and their two young children are now looking forward to a fresh start in a new house, putting the turmoil of the last few years behind them. Karl continued, “The money will mean that we can recover from the last few years when I haven’t been able to work, and we can get our own house which is really important to us as a family to have that security after such a tough time. Head of multi track personal injury at Fletchers Solicitors, who worked on the case, Jen Nolan said, “Karl and his family have been through so much in the last few years and it was preventable if adequate training had been provided. Karl will have the scarring and pain for the rest of his life as well as losing the career he loved.